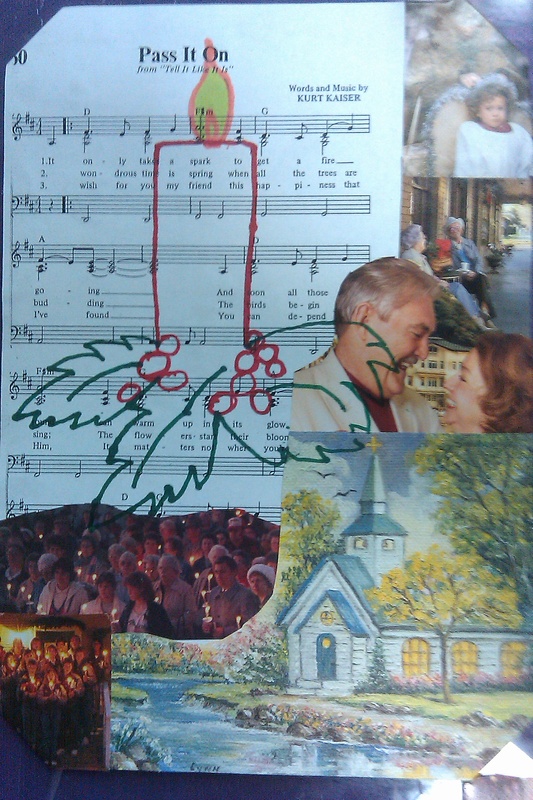 I know it’s quite a bit early for Christmas, but this collage didn’t start out this way. 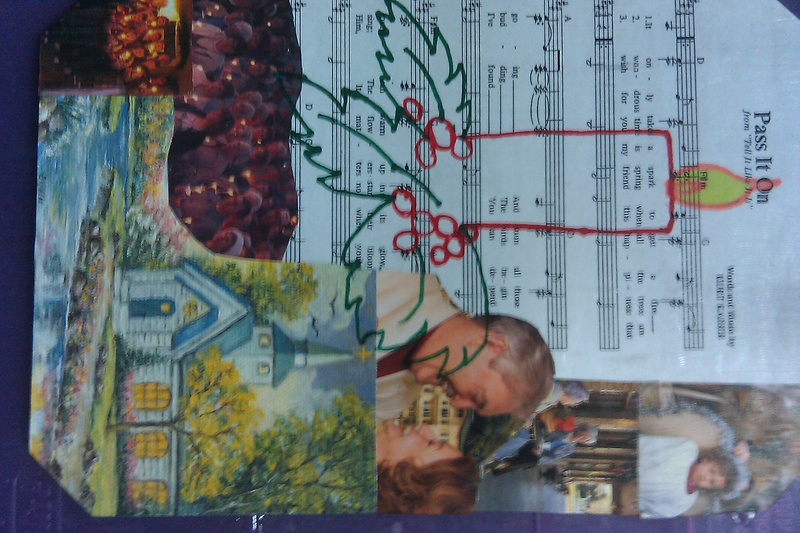 It started with some sheet music for “Pass It On,” and a pretty church from a notecard. But then four out of the other five pictures came from the December 1987 issue of Southern Living magazine, and it just fell into place. The candle is drawn with Sharpie permanent markers. 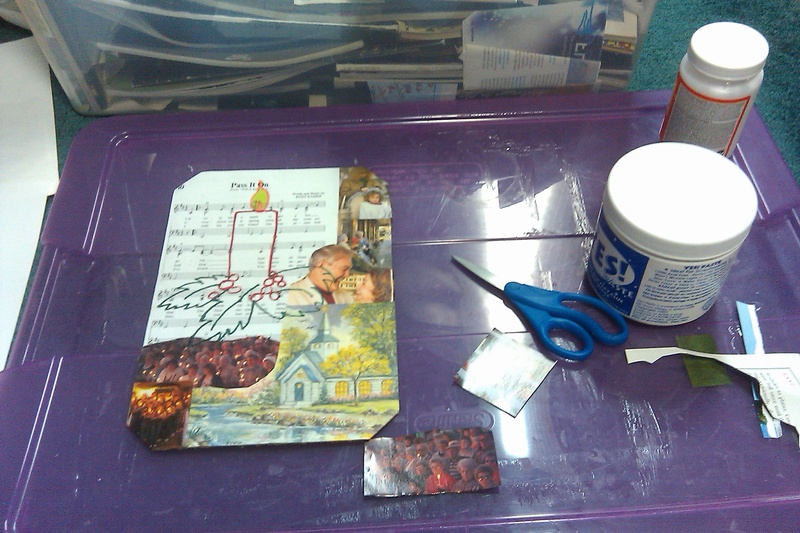 The collage is on a cardboard insert from an Amazon.com book order.